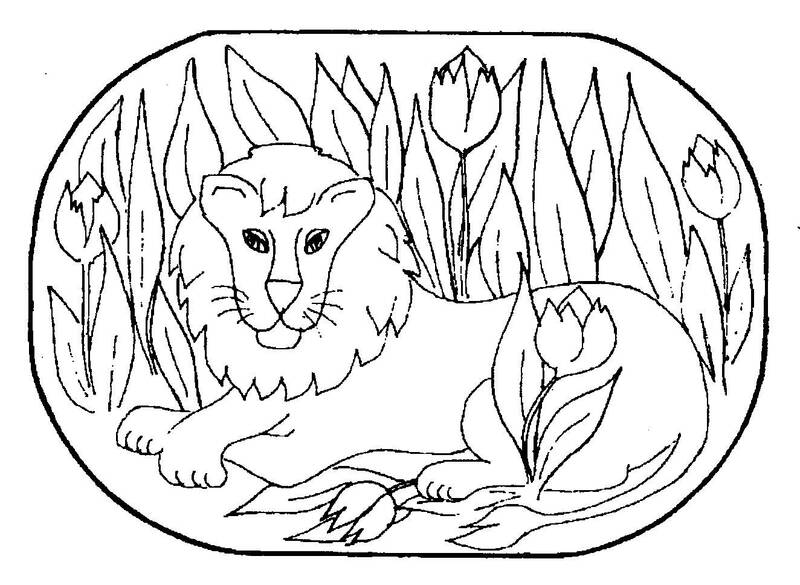 THE LION stamped rug backing for hooking. 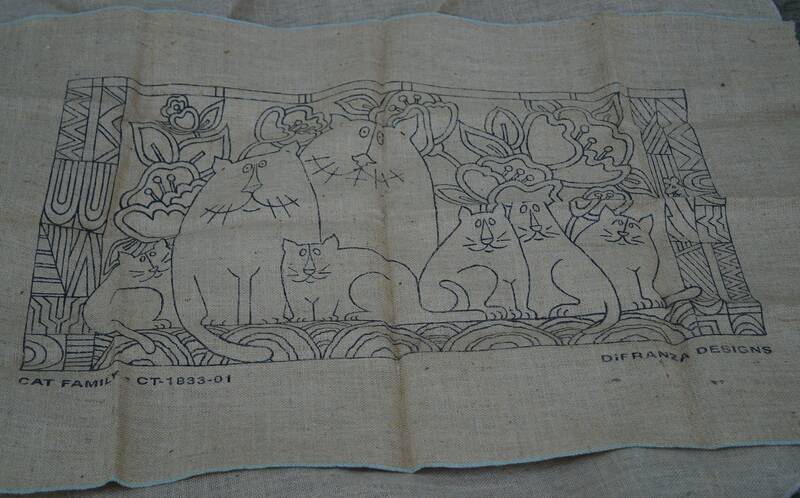 Design on burlap. From DiFrenza Design Studio. Backing only. Stamped area measures 36 inches high by 48 inches wide.